Fourth Annual Caffrey-Burke Day on October 23! The Sixth Anniversary of the airing of the White Collar Pilot episode is on October 23. Time for another round of Caffrey-Burke Day! For my birthday I'm asking folks to help me give clean water to people in need. Support my fundraiser here: http://t.co/T5lYYu78Cm Thank u! On October 23, we celebrate the 5th anniversary of the airing of the White Collar pilot episode by posting fanworks that feature our favorite guys and their epic bromance. You would like to participate? Great! Just post a fanwork focusing on the boys and say it's for Caffrey-Burke Day. More details can be found here if anyone has any questions. Let's have fun! Support White Collar renewal - make it trend! Tired of waiting for news about the renewal of our favorite show? Let's make some noise and tell whoever is dragging their feet that we mean business! The idea is to make #whitecollarforS6 trending on Twitter next Monday. So, go to Twitter Feb. 24 around noon EST (do the math if you're in another time zone) and tweet (then tweet, and tweet again) #whitecollarforS6. You might want to include @WhiteCollarUSA @USA_Network @USA_PR @FOXTV @ASepiol @TedonTV to make sure they get the message. Feel free to use the code below and repost to your LJ to pass on the message! Hey collars! Tired of waiting for news about the renewal of our favorite show? Let's make some noise and tell whoever is dragging their feet that we mean business! The idea is to make <b>#whitecollarforS6</b> trending on Twitter next Monday. So, go to Twitter Feb. 24 around noon EST (do the math if you're in another time zone) and tweet (then tweet, and tweet again) <b>#whitecollarforS6</b>. You might want to include @WhiteCollarUSA @USA_Network @USA_PR @FOXTV @ASepiol @TedonTV to make sure they get the message. <img alt="" border="0" src="https://dl.dropboxusercontent.com/s/4xvjwiv7jwonrm3/wcfors6.png" title="" /> Feel free to repost on your LJ to pass on the message! White Collar Reverse Big Bang! What Is a Reverse Big Bang? In traditional Big Bangs, authors write fan fic, and about halfway through the challenge, artists get to claim a story and create a non-written fanwork for that story (cover art, fan mix, video, etc.) but in a Reverse Big Bang, artists create their fanworks first, post them, (or samples) and then writers will have about two months to write stories for those artworks. In Round One, we are sticking with visual media - drawings, digital paintings, manips, picspams. You can read the Rules post for art, schedule, and writing requirements. Signups for Round One will open on October 15, 2013 for Artists and for Authors. You can find the signal boosting code and more banners here. 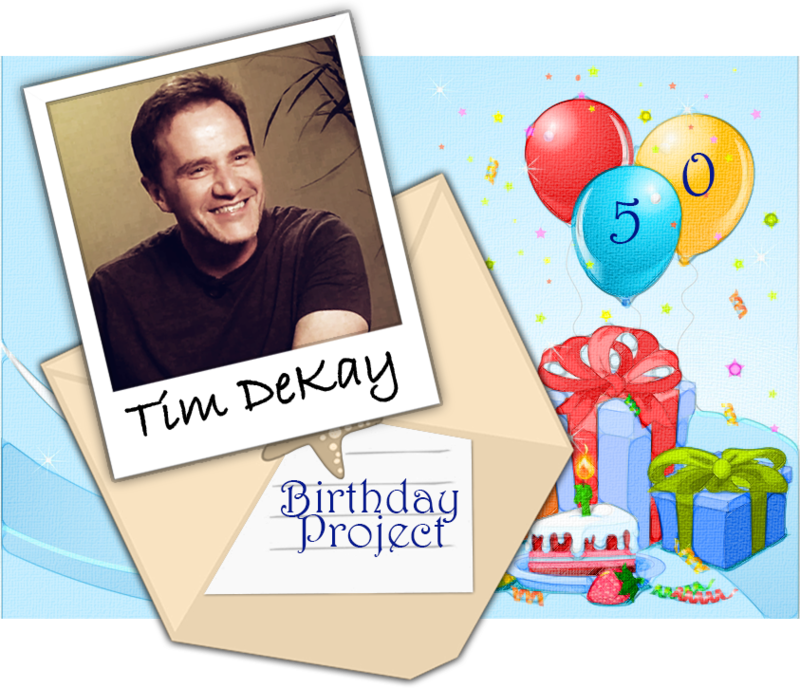 The Tim DeKay Birthday Project!